Shortarmguy's Crazy Emails: It's December, Charlie Brown. I learned some tragic news this week. A good friend of mine from high school passed away unexpectedly. Lincoln Allen was the kind of guy you wanted on your side if you were ready to go out and have a good time or if trouble was about to come your way. I spent countless hours with him playing cards when we were younger and we even continued the tradition a couple years back when he and the guys came up for a ski trip. 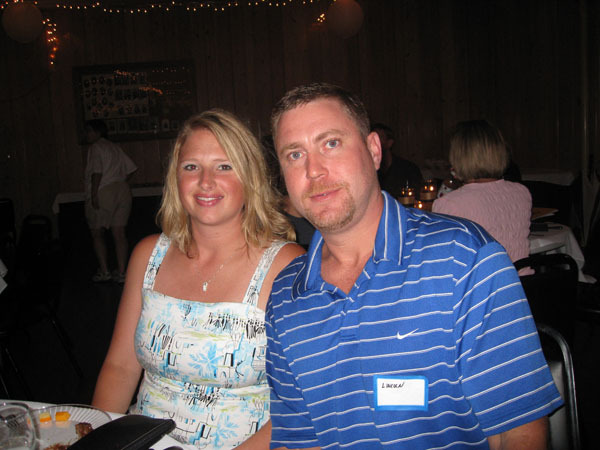 Lincoln can be seen pictured above at our last class reunion a few years ago with his fiance, Kelly. Of course there's a lot more I'd like to say to Lincoln, but sadly I'll never get that chance. 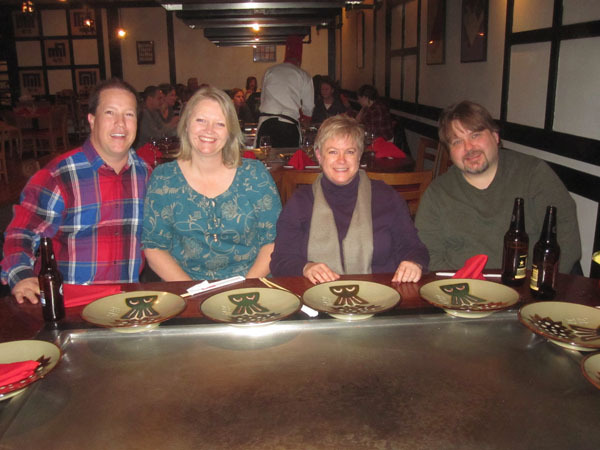 On Saturday night, we went to Benihana with our friends, Cathy and Jeff. The food was good, but we discovered that it can be a bit difficult to have lengthy conversations when you're seated in a long row of four people Next time, we're going to make them double us up in a corner. 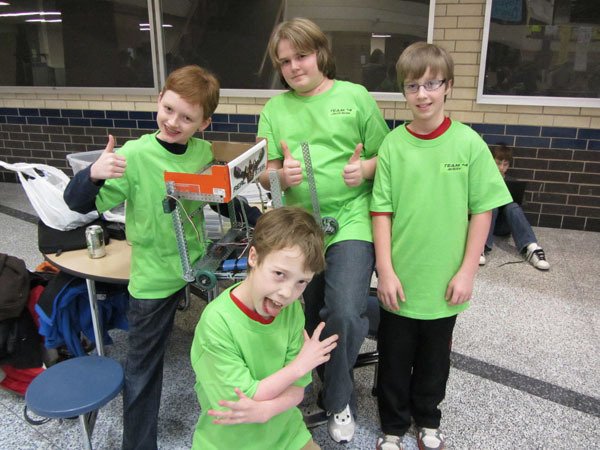 Friday night brought us to Prior Lake High School for Luke and Avery's Middle School Robotics Club "Peer Review". 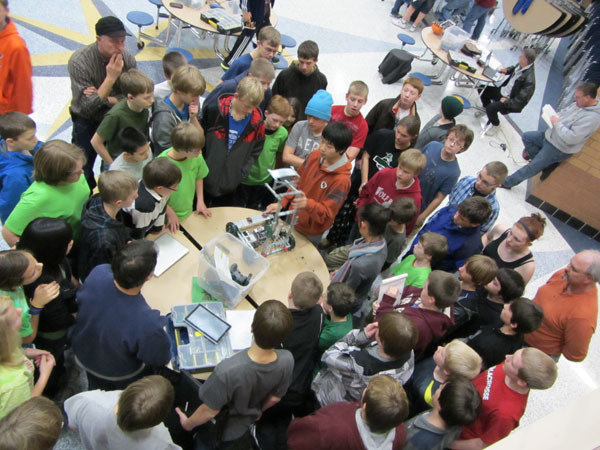 This was a chance for the teams to see each other's robots, learn their scoring strategies, and have the chance to offer advice and criticism. There were a lot of really cool designs on display! It gave the boys the opportunity to debut their official Team T-Shirts. One of the other parents spent a lot of time perfecting the design of the Team #4 shirts. I'm glad she did it, because if it would have been left up to me, there'd have been some stick figures drawn with black magic marker on white t-shirts! 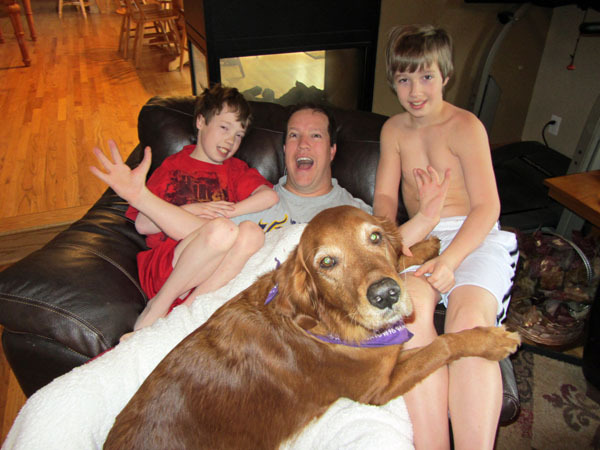 Saturday brought us more snow all day, so we pretty much stayed inside covered up with blankets. 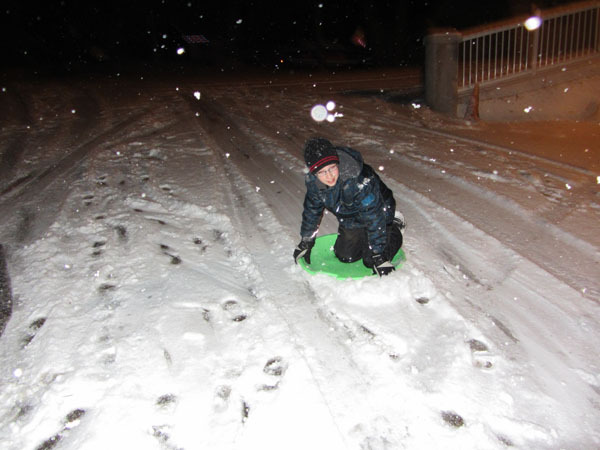 Until Saturday night when the boys suddenly got the urge to risk breaking their necks while sliding down the driveway. When that grew boring, they took the game to the street. 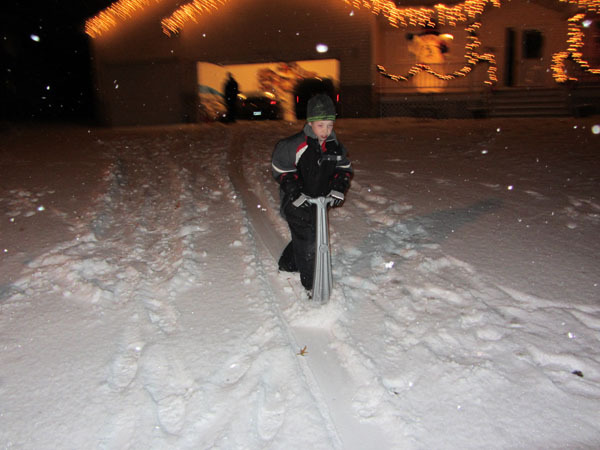 It was a quiet night so we didn't have to worry about cars coming. Thank goodness for that because Sunday morning I read that there were 189 accidents on the roads in the Twin Cities. So I'm sure if any would have come our way we'd have been squished. 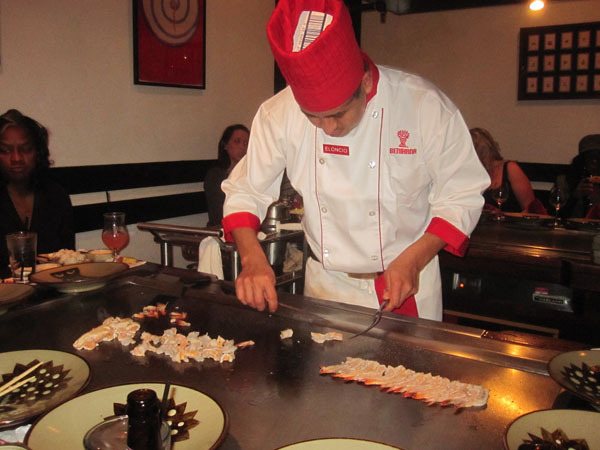 TheWeek Newspaper in Burnsville, Minnesota wrote a nice article about Nor-Tech.